CSKA Moscow are ofcause the favourites here, but it isn't going to be easy for them, and I believe we should have a good chance for some goals here in this derby. 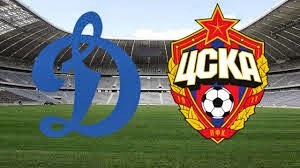 CSKA Moscow have played all their lsat four matches in the league after the winterbreak over 2.5 goals. Dynamo Moscow isn't in good shape at the moment, but played 2:2 in their last match in another Moscow derby, against Lokomotiv Moscow. Both teams needs the victory here, and both teams have deadly attacks, and with their latest matches in mind, I see decent chances for three goals here.